Welcome to Luleå, a city close to the Arctic Circle in the north of Sweden. Our open call programme for 2019 is a 2-step residence. Our residence programme is a production based programme. 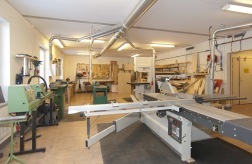 We like to give the selected artist the opportunity to work in our many workshops, fully equipped with machinery and tools. 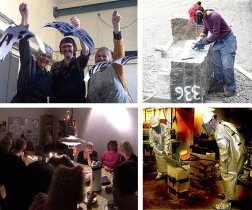 The artist will be invited for a week in June 2019 to do research and get to know us at KKV Luleå (Artist Collective Studio), artists, art institutions and the area we live in. KKV will arrange activity and meetings in the art and cultural context during the stay. The second part of the residence is two months, September and October 2019. The artist will work independently according to their needs and interests. Before the second part of the residence the artist has to send in a sketch of work plan, need of workshops, machinery, tools etc. The artist also has to make sure the work material will be in place before coming back in September. During the stay, we like the artist to present his/her previous work during an 'artist get-to-gather'. KKV Luleå is part of the Swedish Lapland AiR network with residencies in the north of Sweden. Study visits to other partners in the network is possible. NOTE: work produced during the residence is the artist responsibility and has to be transported out from KKV at the end of the residence program. Private apartment in the center of Luleå city, about 30 square meters. It’s possible to have up to two guests in the apartment. 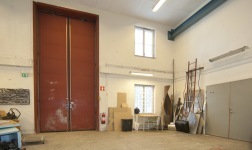 KKV is an Artist Collective Studio (KKV stands for "Konstnärernas Kollektiv Verkstad") based in Luleå. 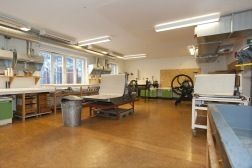 Among the 21 artistic collective workshops in Sweden, KKV Luleå is one of the largest with very well equipped creative labs. Graphics, screen printing, silk screen printing/serigraphy, ImageON (light box), enamel, sculpture (plaster, concrete, wax, stone, ceramic), wood, metal castings (bronze, aluminum), monumental spaces, digital art, sewing/embroidery machine. Professional artists with minimum 5 years work experience. Be 35 year or older. Not be enrolled in educational institution during the program period. EXCEPTION: those who are in Ph.D. program are eligible. Last day for the Open call 23rd of April, 2019, at midnight. KKV is reachable within a 30min walk from the city center or a 7min car/bus ride (bus n. 6). Luleå is served by an airport, a bus and a train station, able to connect it to many regional areas within Sweden.